As with many components of aerodynamic drag, water bottle placement can be very personal. The following data set is intended to be used as a guide to highlight that making sure you choose a good location for your hydration will keep you going fast, and not costing lots of drag! 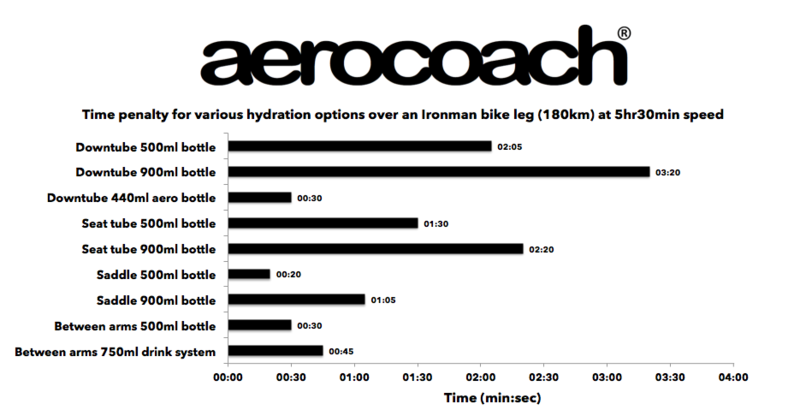 We collected data using AeroCoach's UK exclusive Garmin Track Aero System. 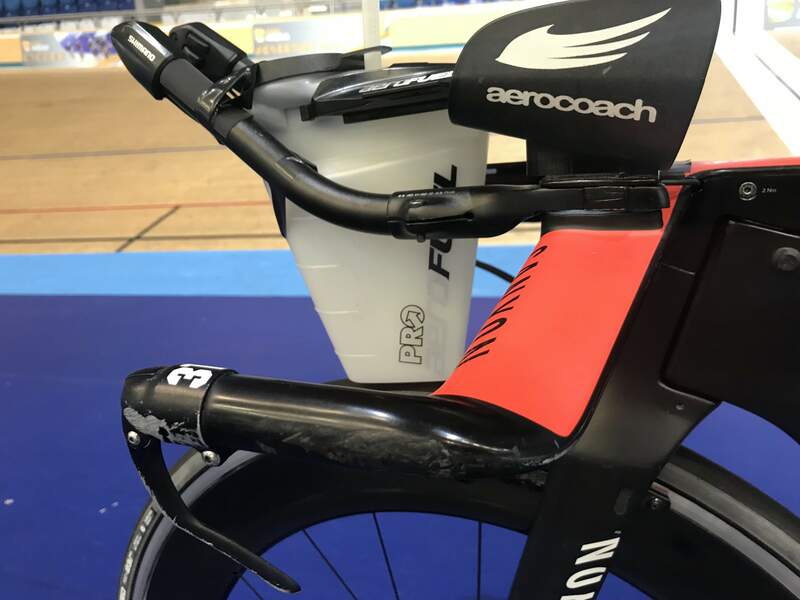 This gives real time CdA (aerodynamic drag) values as a rider cycles around a velodrome, and is the same system we use for our velodrome aero testing sessions (see here). It enables us to collect large quantities of data with extremely high accuracy and precision. Our test rider was district TT Champion and former UCI Gran Fondo TT Champion Jessica Rhodes-Jones. Jessica is used to longer distance events (up to 100 mile TTs) and so wanted to find out the best way to carry her hydration. 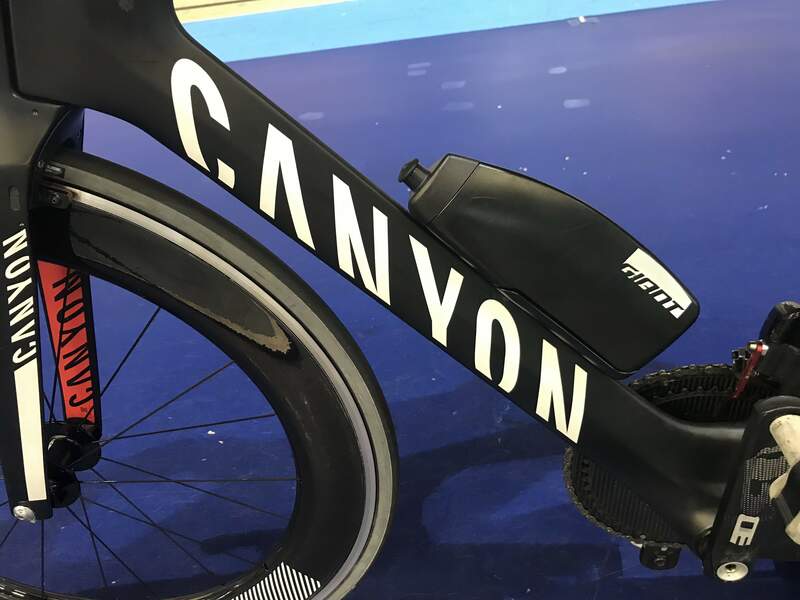 Jessica rides a Canyon Speedmax CF SLX time trial bike, with our AEOX carbon disc and 75 front wheel combo (available on our web store). A 500ml round bottle is very common especially in triathlon events where you may get a bottle handup from an aid station. A smaller bottle like this can also be placed in multiple locations around the bike. In this test we found that the worst place to keep a 500ml round bottle was one of the more convenient: on the downtube! This cost 5.0w at 40kph, or 2.1w at 30kph. Over an Ironman bike leg at 5hr30min speed (32.7kph) this would be a 2min5sec penalty. A better location was the seat tube - only resulting in a 3.6w penalty at 40kph or 1.6w at 30kph (1min30sec over an IM bike leg). Between the arms was 1.2w slower at 40kph and 0.5w at 30kph, but the fastest location was behind the saddle at 0.7w (40kph) and 0.3w (30kph) - 20sec over an IM bike leg. 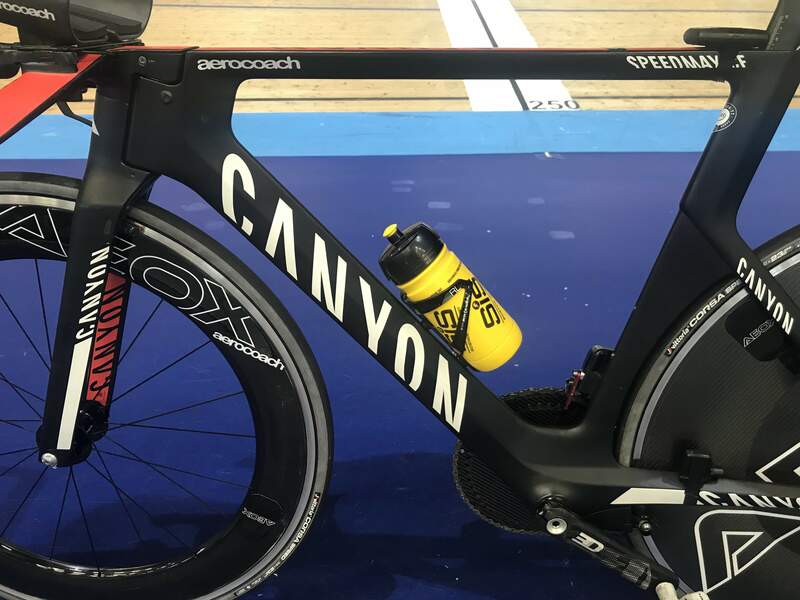 Placing the bottle behind the saddle is a good option for aerodynamics because of the disturbed air caused by the riders body - having the bottle on the downtube where the airflow is more consistent affects the overall aerodynamic drag more than in "dirty" air. In this instance however having the bottle between Jess' arms may encourage her to drink more than if it were out of sight behind the saddle, so worth giving up some aerodynamic penalty for greater practicality. 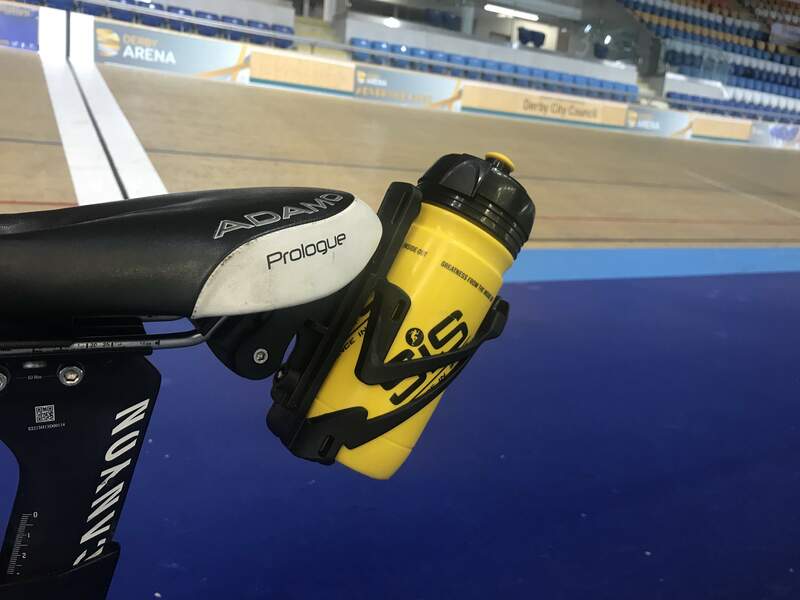 A 900ml round bottle is often used when an athlete is looking to be self supported, keeping all their own hydration on the bike. In all cases it was slower than the 500ml bottle, and was particularly slow on the downtube, costing a huge 8.2w at 40kph, and 3.5w at 30kph! Out of all the options tested this was the worst, adding up to 3min20sec over an IM bike leg. Placing it behind the saddle was best - 2.5w at 40kph and 1.1w at 30kph, and having it on the seat tube was 3.6w (40kph) and 1.6w (30kph) slower. It wasn't possible to fit the bottle between Jess' arms as it was so big! 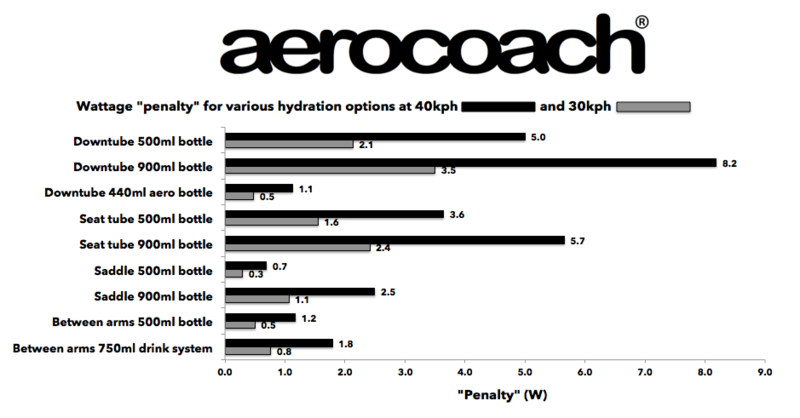 Taking these results into account, it would actually be much faster for Jess to carry two 500ml bottles on the bike, placing one between her arms and one behind the saddle, as this would only create a 1.9w (40kph) / 0.8w (30kph) total penalty, compared with behind the saddle for the 900ml bottle which was 2.5w (40kph and 1.1w (30kph) slower. 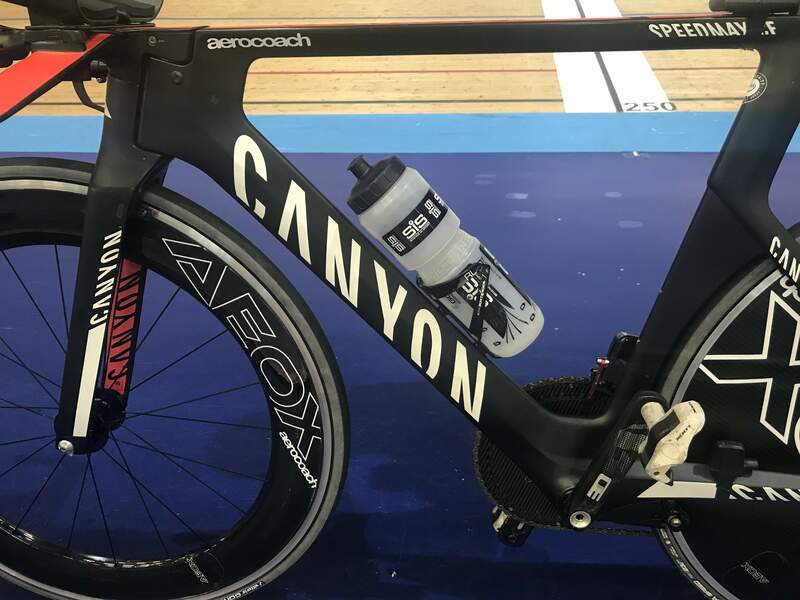 The aero bottle we tested was an AeroVault from Giant and designed to work on the downtube. We only tested it on the downtube as this was the most practical location. It was a great option and only cost 1.1w (40kph) or 0.5w (30kph), the equivalent of just 30sec over an IM bike leg! 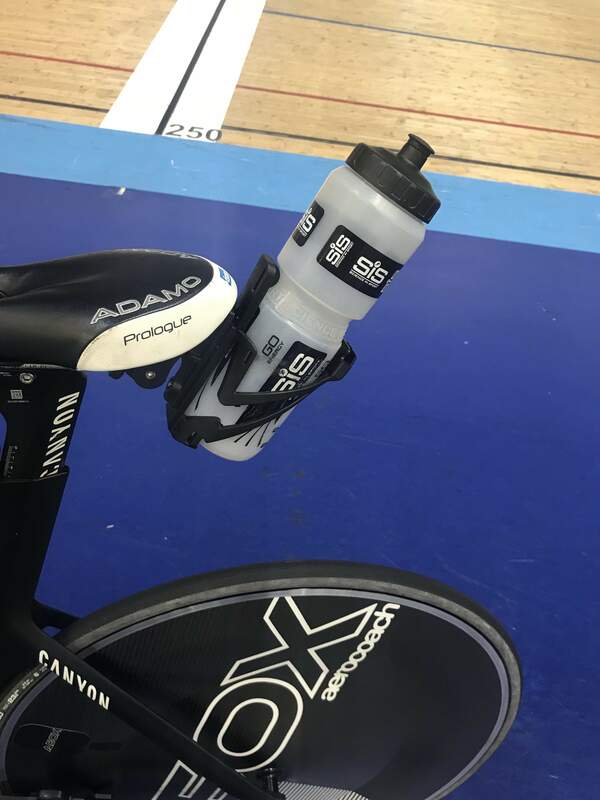 This is similar to having a round 500ml bottle behind the saddle, but having hydration on the downtube can be more convenient in a race situation. This particular bottle was designed for the Giant Trinity range of bikes, and on those bikes it is often a smaller (or sometimes no) penalty as it integrates well. The last option we tried was a Pro AeroFuel 750ml drink system which sits between your arms. This is an option for riders who want to take hydration from an aid station and then discard the bottle, having emptied it into the reservoir, or like the 900ml bottle it gives more space to race self supported. One aero tip with drink systems such as this one is to make sure that you don't leave a very long straw dangling in the wind - with previous riders we've found that too much of an exposed straw can cost up to 3.5w at 40kph! For Jess the drink system wasn't too bad, but was still slower than nothing at all - costing 1.8w at 40kph and 0.8w at 30kph. 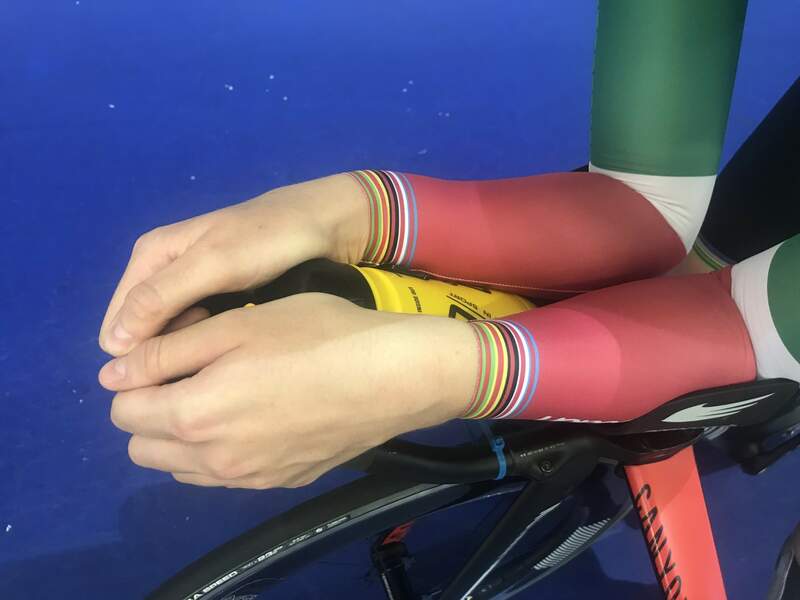 As we mentioned earlier, bottle placement can be very individual, but the results we saw for Jess were typical to what we see with a lot of riders. We often recommend that if in doubt, place a bottle behind your saddle as this usually results in the least penalty. In some cases it has even been faster! Having a bottle between your arms is also a good option as we found with Jess, but it works best with riders that have their arms close together, rather than wide apart. Jess decided to go with the fastest of the available choices (500ml bottle behind the saddle) for her future long distance TTs. As is always the case with aero testing, there are often more questions than answers! 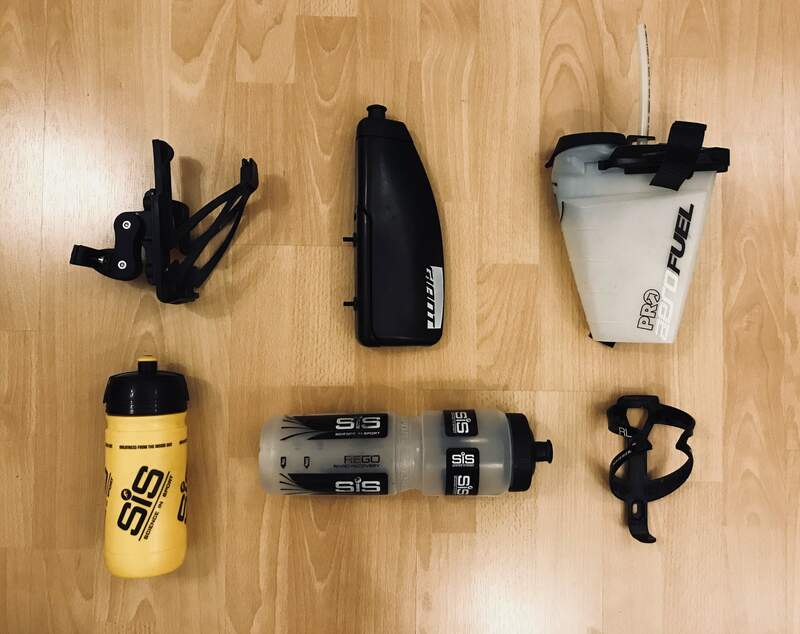 In this test we explored hydration on the bike only, however placing bottles in your pocket or using a body mounted hydration system such as a Camelbak reservoir are other methods of approaching hydration storage. These are usually more individual than mounting bottles on the bike, so do need to be specifically tested to see if they will work for you. We hope that this data set has helped you understand the implications of correct bottle placement - race hard and stay aero!